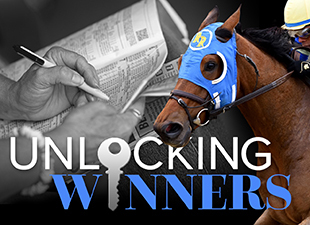 It's not often that I make a Friday race the focus of my weekly Unlocking Winners analysis, but then again, not every Friday features the opening of the much-anticipated Keeneland fall meet, and even fewer Fridays happen to feature my best play of the week. So that's why, after much deliberation, the race I'm covering is the $250,000 Stoll Keenon Ogden Phoenix Stakes (gr. II), a six-furlong sprint that serves as a "Win and You're In" qualifier for the Breeders' Cup Sprint (gr. I) four weeks from now. The reason I'm mentioning that is because I believe the Breeders' Cup Sprint winner might be running in the Phoenix Stakes. No, I'm not referring to Whitmore, who has admittedly been very sharp this year. Nor am I'm referring to the veteran Limousine Liberal, who has compiled such a stellar record at Churchill Downs, where the Breeders' Cup will be held this year. No, I'm referring to their younger rival Promises Fulfilled, who has transformed—in a manner reminiscent of the 2012 Breeders' Cup Sprint winner Trinniberg—from a Kentucky Derby contender into one of the fastest, gamest sprinters in the country. Trained by Dale Romans, Promises Fulfilled showed plenty of speed and potential from an early age. It's easy to forget, but the son of Shackleford actually opened his career with two straight wins going six and seven furlongs at Churchill Downs and Keeneland, on both occasions sprinting his rivals off their feet to prevail in gate-to-wire fashion. After that, Promises Fulfilled tried to stretch his speed around two turns, which he did successfully in the Fountain of Youth Stakes (gr. II) to stamp himself as a Kentucky Derby contender. But Promises Fulfilled hinted that he's a sprinter at heart by running off through a blazing :21.95 opening quarter-mile in the Florida Derby (gr. I), where he finished last, and after tiring to fifteenth in the Kentucky Derby after setting another quick pace, his career took a major shift as Romans decided to cut him back in distance. Suffice to say, Promises Fulfilled's subsequent turnaround has been impressive. In his first start back sprinting, he showed more speed than ever in the seven-furlong Woody Stephens Stakes (gr. II), setting fractions of :21.46, :43.68, and 1:08.43 before holding on remarkably well in the homestretch to finish third, beaten just 4 ½ lengths after leading past the eighth pole. No one has been able to beat him since then. In the 6 ½-furlong Amsterdam Stakes (gr. III) at Saratoga, Promises Fulfilled showed a bit more tractability while rating in second through a ridiculous :21.28 opening quarter-mile, but pounced to the lead through a half-mile in :43.92 and powered clear to win by 3 ¼ lengtsh in a terrific performance, earning a 108 Beyer speed figure. Promises Fulfilled returned to front-running tactics for the seven-furlong H. Allen Jerkens Stakes (gr. I) at Saratoga and picked up his biggest victory to date, setting fractions of :22.66, :44.34, and 1:08.44 before reaching the wire 1 ¼ lengths in front while stopping the clock in 1:21.44. The third-place finisher, Firenze Fire, came right back to win the Gallant Bob Stakes (gr. III) at Parx Racing. Although Promises Fulfilled has been very successful in extended sprints this summer, I think he might ultimately prove best as a pure six-furlong sprinter, where his phenomenal early speed can be at its most effective. He's run six furlongs in 1:08.53 or faster in each of his last three starts, and he'll finally get a chance to officially tackle that distance in the Phoenix. With just six starters, the field is small, and so long as Promises Fulfilled breaks alertly from post position one, I think he's going to sprint to the lead, put away the speedy California shipper Distinctive B, and just keep going to defeat his older rivals and emerge as one of the favorites for the Breeders' Cup Sprint. Granted, Whitmore and Limousine Liberal are very worthy rivals. Whitmore is 9-for-12 sprinting six furlongs, which includes a victory in last year's Phoenix Stakes, and he showed that he's in career-best form by winning the Forego Stakes (gr. I) at Saratoga last time out. But take note, that race was on the same day as the Allen Jerkens, and Whitmore ran slower at every point of call than Promises Fulfilled. Furthermore, for a late runner, Whitmore got a dream trip in the Forego, saving ground before rallying through a huge opening on the rail turning for home. You can actually argue that Limousine Liberal, who finished third in the Forego with a very wide trip, might have run a better race than Whitmore—and don't forget, Limousine Liberal did beat Whitmore fairly and squarely in the Belmont Sprint Championship (gr. II) two starts back. But Limousine Liberal seems to be clearly at his best sprinting seven furlongs; traveling six furlongs, he's gone just 3-for-11, with those three victories coming in a maiden race, an allowance race, and the Aristides Stakes (gr. III) at Churchill Downs, where he got a good setup against a small field. But the bigger concern for Whitmore and Limousine Liberal is that they're both late runners who lack the tactical speed to keep up with Promises Fulfilled early on, and when you're facing a front-running rival who can sprint a half-mile in less than :44 seconds and just keep going, how are you going to beat him? At seven furlongs, Promises Fulfilled might be vulnerable, but going six furlongs, I don't envision anyone reeling him in. And if Promises Fulfilled wins the way I expect him to—by dominating on the front end and maintaining a high rate of speed from start to finish—I think we're looking at the 2018 Breeders' Cup Sprint winner. Now it's your turn! Who do you like in the Phoenix Stakes?